Way of the Dodo: Googie, Boomerang, Bucky, etc. I just read an article about driving a replica Dymaxion in my brother's magazine, and I found this place: The Neon Museum. The Dymaxion was familiar to me, I may have mentioned Buckminster Fuller to you here before- but the Boneyard of Las Vegas light-up signs was all news to me! Of course, two-acres of signs no one uses anymore is absolute grist for the Dodo mill, so I will make a foray soon, into that difficult terrain of Sin City, and hopefully I will bring you back images of melancholic splendor. Stay tuned. By this time, you must be frothing at the bit to learn more about just what physical characteristics these terms reference. It need hardly even be said, but start with Wikipedia, or, if you are a lucky one, your library or bookstore. In closing, Doo Wop on, my lovelies. * What I recommend is that you gather a few intelligent friends, get out on the road in your automobile, drive to your nearest most Doo Wop coffee shop, and hash it out over a cup of that beverage. 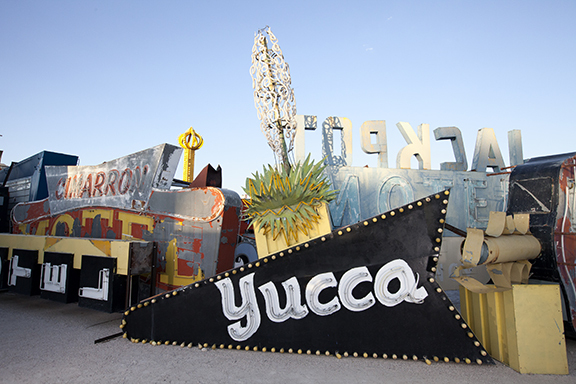 When you are done deciding which term is best, you can settle on a date to drive out to see the Neon Museum. In fact, I will meet you there- get the large corner booth- I can't wait to see you in the still of the night.